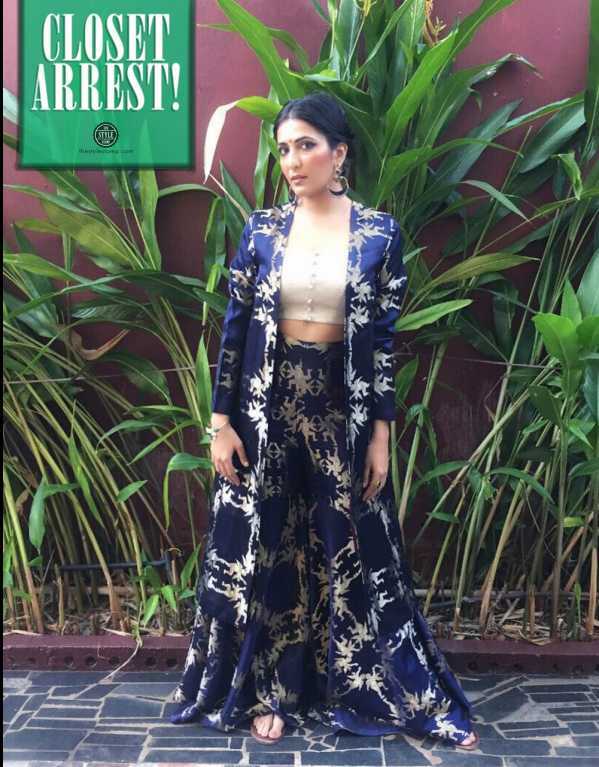 A Web-star and her Fashion Escapades! Very well known in the acting circuit, the ever so talented and vivacious, Eisha Chopra is not an unrecognizable face on the internet anymore! Try searching for the best web series on the internet and out pops Eisha’s face with What The Folks? With a theatre background, Eisha was a Delhi girl, who moved cities to pursue her dreams. She did a few ads before she bagged Neerja and then there was no turning back. Today in conversation with her, we try and dig deep into her choice of fashion and how clothes play a major part in shaping her characters. My white tie up cropped T shirt. It’s my most versatile piece of clothing so far. I’m a little afraid of getting sick of it. 2. There is a lot of research backing up the fact that, ’Clothes change the way you perform’. What are your thoughts on the same? 3. Do you always depend on a stylist or give your outfits your own twist? Most think I’m fibbing but so far, I’ve not used a stylist for any event, other than the shoots where the production houses have hired their own costume designers. 4. Why do you choose to style yourself and not hire a stylist? I guess I haven’t felt the need for a stylist yet. I understand both, my body and my mood on a particular day better than someone else. Plus, I studied design before I started acting professionally - it keeps me in touch with that side of myself. Also, if you’re mostly aesthetically inclined, then it’s not that hard, is it? 5. You have been mostly spotted wearing Indian designers. No international favourites? I actually love what the Indian designers have been up to lately. They’re no longer trying to confine an Indian woman’s body to western standards, both in terms of silhouettes and fabrics. It’s been super liberating! I think Anita from What The Folks will always be closest to my heart. It was the first time that I was really ‘allowed’ to explore myself as an actor. It had a lot to do with opening me up creatively. On a side note, my WTF stylist, Anindita put together a lot of Anita’s wardrobe from my own closet. It was really interesting to watch. 7. Which of these reel life characters draw some inspiration from your real life persona? Anita Sharma or Sonali Ranaut? Definitely Sonali. She was a natural extension of my personality and an alter ego in a way. I used to always say that I wish I could grow up and become more like her. She’s wildly outspoken and confrontational, without a care about what anyone else thinks of her. I am shooting for a family drama where I play a character who happens to have my own name but who’s unlike any that I’ve played before. She’s mild, gentle and completely apathetic to her life. She comes into her own through the course of the show.